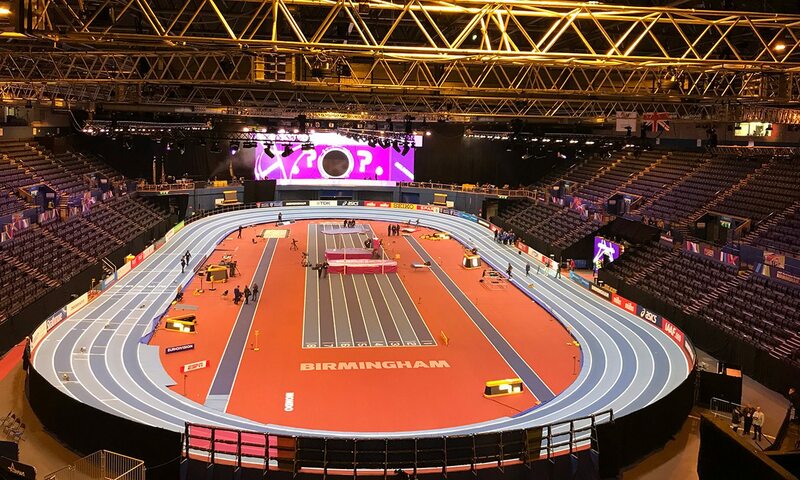 If the upcoming IAAF World Indoor Championships in Birmingham are half as good as the last time the city staged the event, it will be a great success. In 2003 the GB team won a record tally of seven medals and the IAAF declared the event “the best ever” due to its atmosphere and organisational brilliance. Birmingham-based triple jumper Ashia Hansen produced a dramatic fifth-round effort to win gold, while Marlon Devonish took the now defunct 200m title. Elsewhere, minor medals went to Kelly Holmes, Daniel Caines, Jason Gardener, Jamie Baulch and the men’s 4x400m team. Such was the strength of competition, Jonathan Edwards and Colin Jackson finished outside the podium places, too. Brits aside, Carolina Kluft and Haile Gebrselassie were among the athletes of the championships. Whether the British team of 2018 – led by co-captains Shelayna Oskan-Clarke and Andrew Pozzi – can match the 2003 medal tally remains to be seen, given the level of opposition, but there is certainly much for the crowds to get excited about at Arena Birmingham over the next few days. The indoor championships have an atmosphere all of their own, with the crowds that bit closer, the track that bit tighter, the sound another notch louder and the roof will, of course, be raised if the home headline act, Laura Muir, can start the show with a bang in the 3000m final on the first evening. 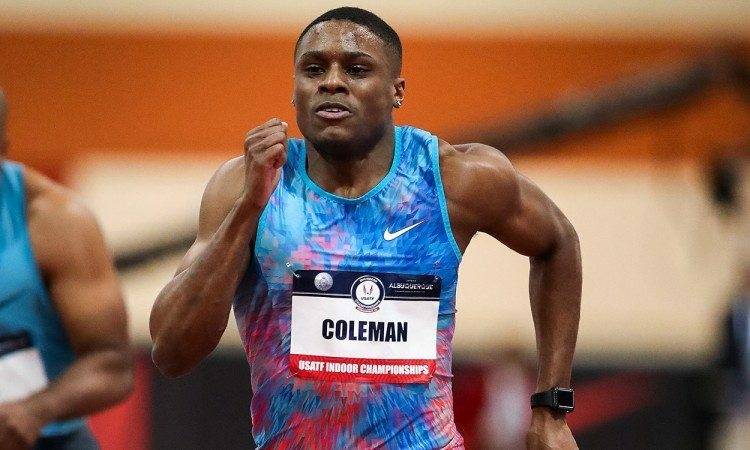 The appearance of USA’s Christian Coleman, the fastest man on the planet, will shift fans that bit further to the edge of their seats too and, with so many top performers from so many countries competing in so many different disciplines, the action will be fast, it will be furious and it will be unmissable. Here we highlight some athletes to watch. For interviews and world indoor form guide lists, see the March 1 edition of AW magazine. Christian Coleman, with the recently-run world record of 6.34 to his name, is clearly the man to beat. The 21-year-old claimed world 100m silver behind Justin Gatlin and ahead of Usain Bolt in London last summer, while he also formed part of USA’s silver medal-winning 4x100m team. This time he’ll be looking to go one better in medal colour, but he’s not in for an easy ride. Also at the US Championships in Albuquerque, Ronnie Baker came close to the previous world record with 6.40 to move to third on the world all-time list and is set to again challenge strongly. China’s Su Bingtian, who is unbeaten this year and won the IAAF World Indoor Tour title with a 6.50 in Glasgow, will also push for a podium place, as will British champion CJ Ujah, who has run a PB-equalling 6.53 in 2018. In the women’s race, Britain’s European indoor champion Asha Philip will be looking to feed off the home crowd support and claim her first global senior individual medal. She has run 7.12 this year and clocked her 7.06 national record when winning gold in Belgrade last winter. She will face strong competition in the form of Ivory Coast’s double world silver medallist Marie-Josée Ta Lou, USA’s world-leader Javianne Oliver who clocked her 7.02 at altitude, Jamaica’s double Olympic champion Elaine Thompson and two-time world 200m champion Dafne Schippers. 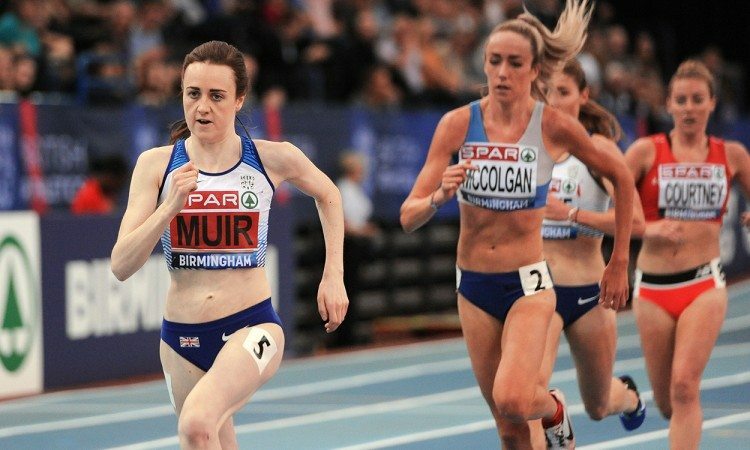 The women’s 3000m gets the track action under way on Thursday night and there are sure to be huge cheers for home athletes Laura Muir and Eilish McColgan, who are both due to double up and also contest the 1500m in Birmingham. In what is set to be a top race, they will line up alongside Ethiopia’s defending champion Genzebe Dibaba, Kenya’s world 5000m champion Hellen Obiri, 2016 world indoor 1500m champion Sifan Hassan of Netherlands and German record-holder. Konstanze Klosterhalfen. The men’s final takes place on the last day of the championships, with Ethiopian trio Selemon Barega, Hagos Gebrhiwet and Yomif Kejelcha – who has a wild card entry following his World Indoor Tour win – leading the world rankings ahead of USA’s Paul Chelimo and Morocco’s Abdelaati Iguider. Jonathan Davies races for GB. USA’s Sharika Nelvis, Kendra Harrison and Christina Manning lead the rankings with their impressive respective times of 7.70, 7.72 and 7.73, and all three will be in Birmingham, thanks to Manning winning the World Indoor Tour. But the hurdles events are unpredictable, and behind them Germany’s Cindy Roleder and Australia’s Sally Pearson will be among those wanting to make an impact, while Marilyn Nwawulor and Megan Marrs will be looking to impress on home soil. The host nation has a medal hope in the men’s race in the form of Andrew Pozzi. Co-captain of the GB team alongside 800m runner Shelayna Oskan-Clarke, the European indoor champion will be looking to lead by example. He’ll face strong competition in Jamaica’s Ronald Levy, who clocked 7.49 for victory in his first ever indoor race in Glasgow, plus USA’s Jarret Eaton and Aries Merritt. David King joins Pozzi on the GB team. The two high jump finals will take centre stage along with the women’s 3000m final during the opening session of action on Thursday evening, with both high jump events being held simultaneously for the first time. As the bars rise and the fields reduce, the remaining male and female athletes will jump alternately, giving fans the chance to focus attention on one athlete at a time. 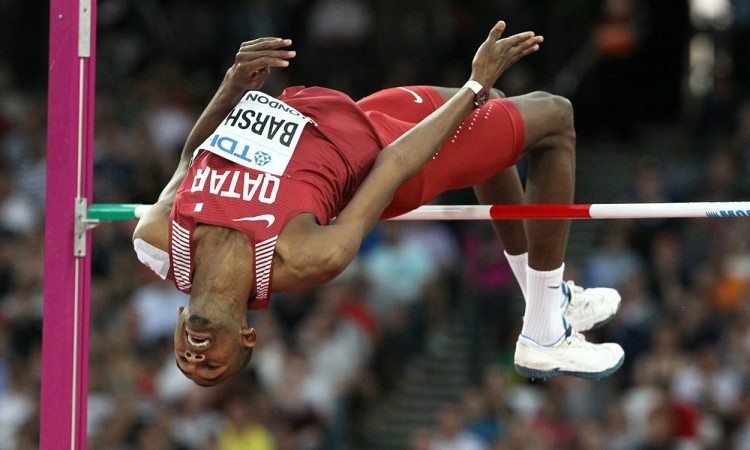 Mutaz Essa Barshim of Qatar will be looking to regain his 2014 title and goes into the competition with a world-leading mark of 2.38m to his name from the Asian Indoor Championships. 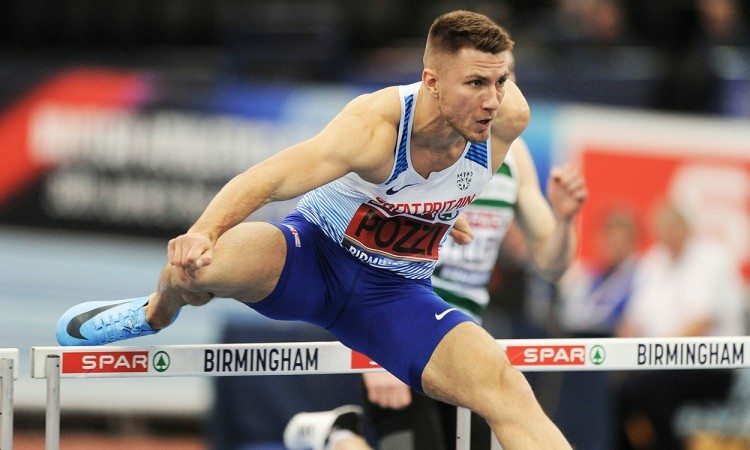 Russia’s Danil Lysenko, competing as an authorised neutral athlete, is unbeaten this year and has cleared 2.37m, while Birmingham-based Robbie Grabarz – silver medallist in Portland two years ago – will be hoping for a boost from the home crowd. Maria Lasitskene dominates the women’s event, with the Russian – jumping as an authorised neutral athlete – having built up a 37-meet win streak. She leads the world rankings with her indoor PB of 2.04m. USA’s defending champion Vashti Cunningham competes, as does her fellow 20-year-old Morgan Lake, of GB. 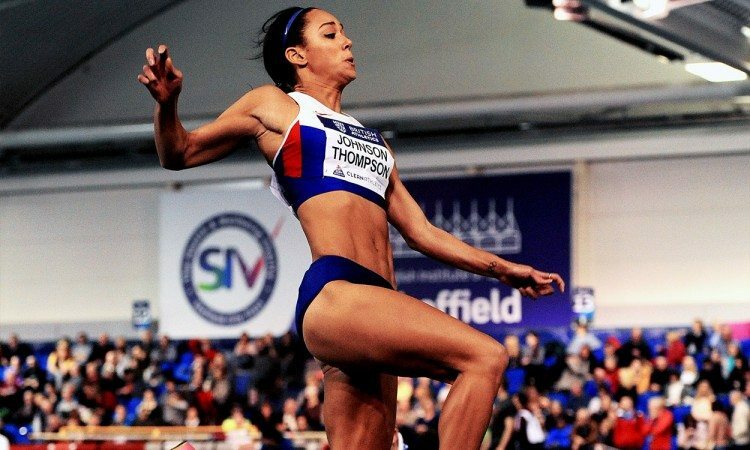 Katarina Johnson-Thompson last contested a pentathlon in 2015, when she recorded 5000 points at the European Indoor Championships in Prague to miss Nataliya Dobrynska’s world record by just 13 points. The 25-year-old, who won long jump silver in Sopot, will be wanting to make the most of the opportunity to go for her first senior global combined events title. USA’s Erica Bougard leads the world rankings with 4760 from Austria’s Ivona Dadic with 4692. France’s Kevin Mayer continues to impress and will be looking to add to a haul which includes European heptathlon gold after a European record-breaking 6479 points and the world decathlon title. Canada’s Damian Warner will be keen to bounce back after illness at the world outdoor championships, while world outdoor bronze medallist Kai Kazmirek will be hoping to show similar form indoors.